So this is a little bit different for a change. Possibly one of the most affordable watches I’ve ever featured. If you’re looking for more affordable watches I do suggest you check out my top 50 under £50 for men where I showcased a ton of great watches. Today I’m doing a Sekonda 3882 review and looking forward to showing you why this watch is worth getting. At first I was a little skeptical of how good this watch would be considering it’s under £20 but after I took a loot at the specifications and the parts they used I was happily surprised. 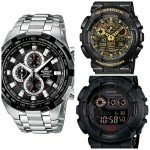 I’ll delve into it all a bit deeper below but you do actually get a lot of watch for your money which is nice to see. 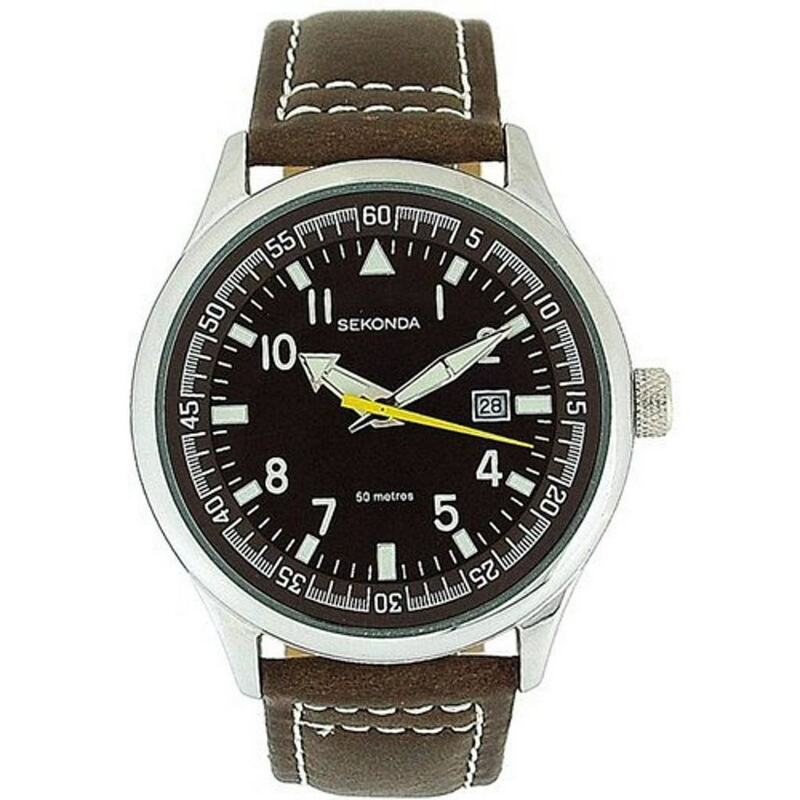 In my opinion, it looks a bit more like an outdoorsy watch with the hard wearing brown leather strap and the large luminous hands making it easy to read in low light. Well I was actually expecting a cheap acrylic glass on the watch so I have to say I was very pleased to find out they actually used a mineral glass which is a lot stronger and is specially hardened to resist scratches. You have to realise you’re getting these decent parts for the watch at under £20 which is pretty decent. Looking at the size of the watch it’s actually nice and fairly large. The diameter of the case is 45mm which is classed as large while the thickness is 10mm which is classed as average. 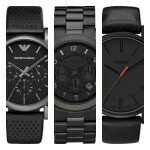 I personally go for watches that are at least 42mm so for me this is ideal. It’s not straight away noticeable from the picture (I’ll admit I initially missed it) but there is actually a small date window. This is sat snug next to the 3 o’clock position on the watch. While it is small I really don’t know how much these features are used these days. The strap of the watch is made out of leather and is 20mm wide. Sekonda have gone for the standard buckle which is no surprise as you wouldn’t expect a butterfly clasp etc for this money. It’s actually been quite nice to take a moment to look at a much more affordable watch. I don’t normally have the time available to look at these but as it was so popular I thought I’d make the extra effort. Overall It’s been surprising doing this Sekonda 3882 review, they’ve managed to use good materials and nice features on a budget. If you’re after an affordable hard wearing watch, then this is a great choice. While you’re here check out my top 21 under 200, it’s worth looking around and seeing what else you can get for a bigger budget too. Hope you enjoyed my Sekonda 3882 review. You can buy this watch on Amazon.